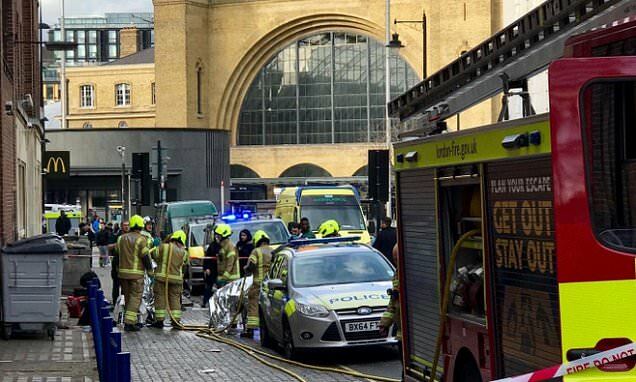 Two men have been rushed to hospital after they were ‘splashed with acid’ in an attack near King’s Cross Station today. 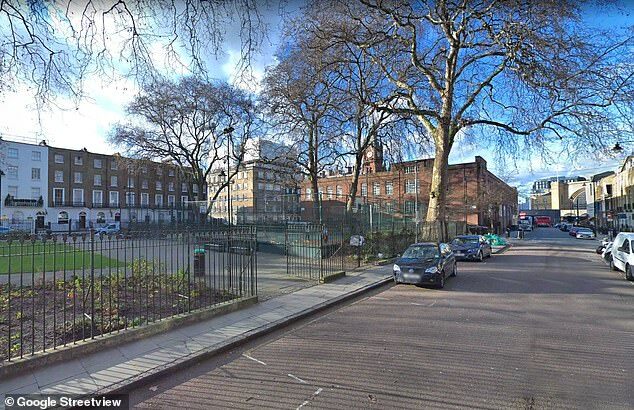 Two groups of men were involved in a fight on Argyle Square, Bloomsbury, which is only a short distance from the railway station. 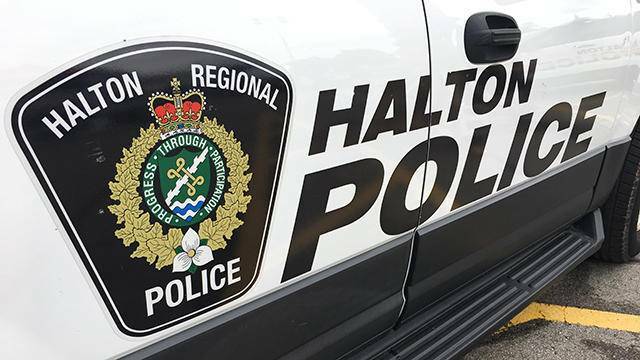 Officers said the fight had broken up before they arrived at the scene. 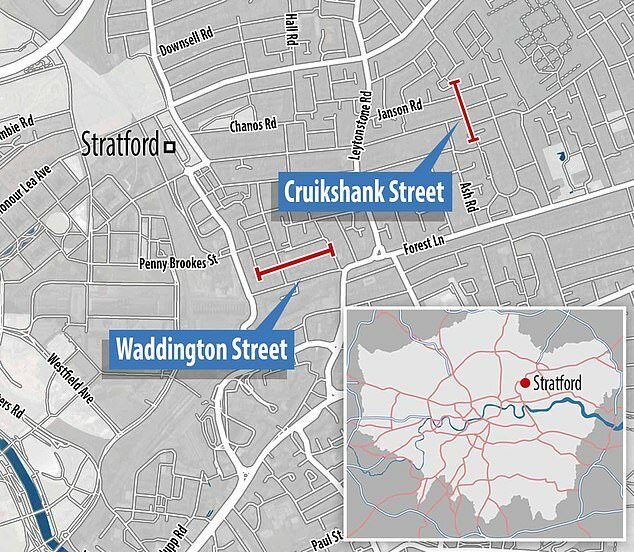 Meanwhile police are also hunting for a knifeman after a double stabbing in Stratford at around 1.30pm this afternoon. 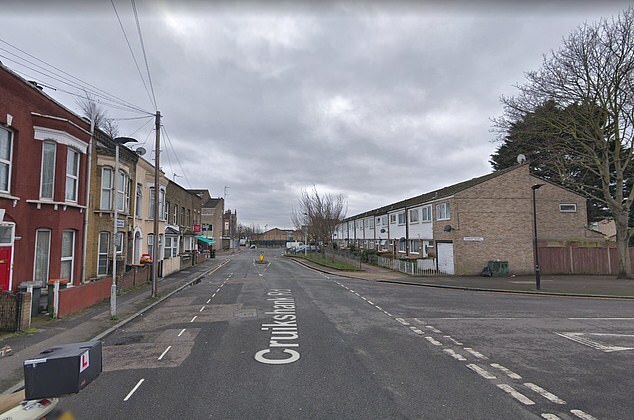 Another man, aged in his late teens, was then found in nearby Cruikshank Road with stab wounds to his leg and buttocks. 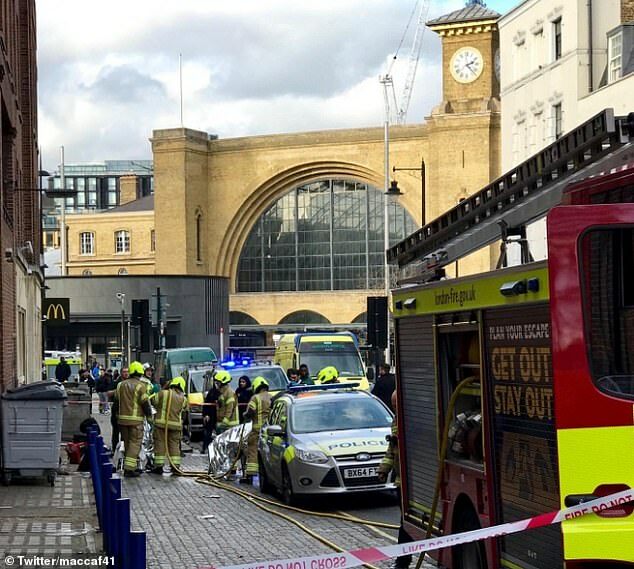 Speaking about the King’s Cross incident, a Met Police spokesman said: ‘Police were called to reports of an altercation between two groups of males on Argyle Square, Bloomsbury. ‘All parties had left the location before officers arrived at the scene. 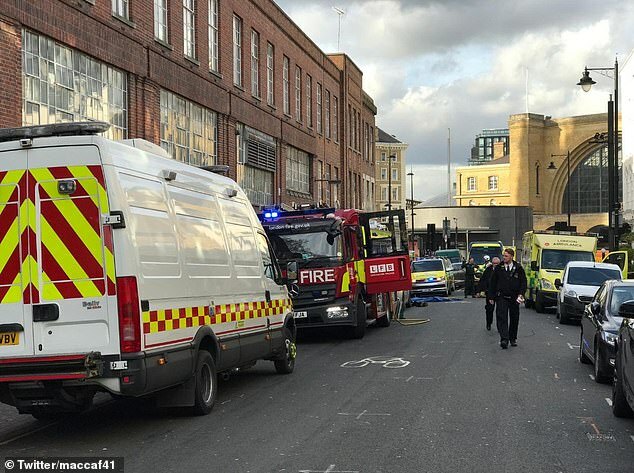 ‘Two men were later found nearby with facial injuries reported to have been caused by a corrosive substance. ‘They have been taken to a nearby hospital; we await an update on their condition. Meanwhile in Stratford, the Met confirmed they were called shortly after 1.30pm and are investigating. Today’s attack follows a separate incident in Romford at approximately 8.10pm yesterday. The 19-year-old was attacked on South Street, Romford at approximately 8.10pm yesterday. The Metropolitan Police said the young man had a noxious substance thrown at him. The attack happened on South Street, Romford at around 8.10pm yesterday. 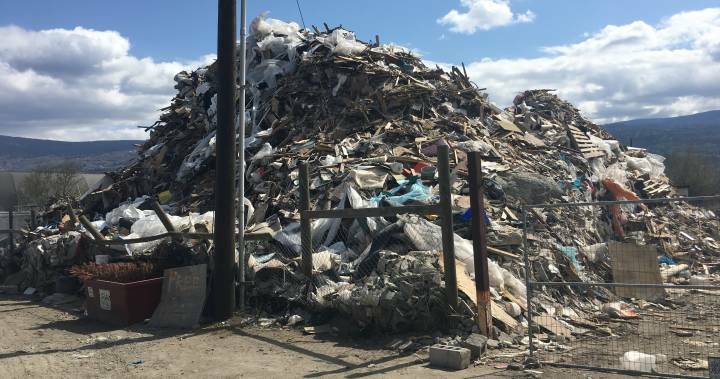 The Metropolitan Police said no arrests have yet been made in connection with the investigation. Anyone with information is asked to contact 101 quoting reference CAD 7004/11Feb. 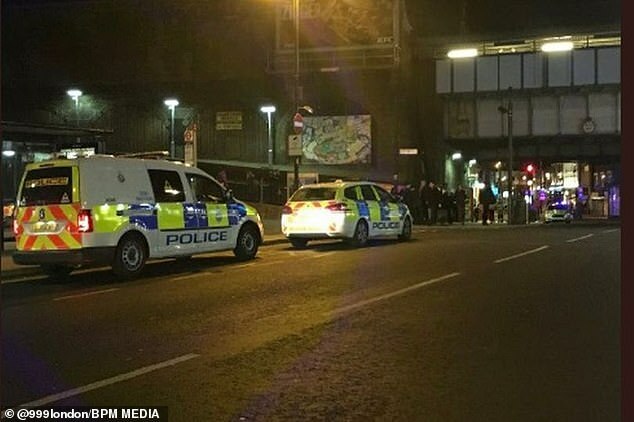 The incident is the latest violent incident in London. On Sunday, 39-year-old Dennis Anderson from Lewisham was stabbed to death in the early hours of Sunday morning. 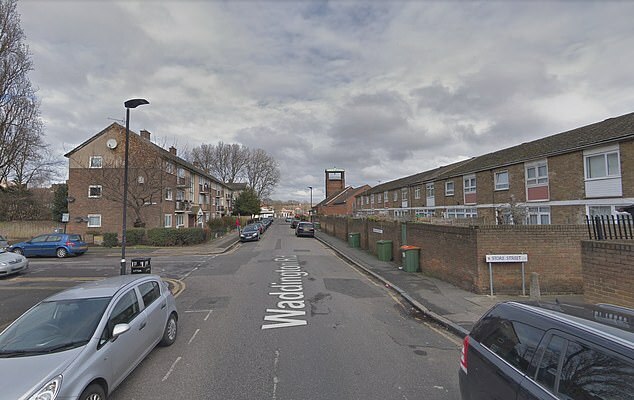 On Saturday afternoon, four people were arrested in Hayes – including two teenage boys – following the stabbing of a 16-year-old boy. The victim was rushed to hospital by air ambulance where his condition is described as ‘not life-threatening’. A few hours later, a 17-year-old boy was shot in Isleworth, west London. He was taken to hospital where he is in a critical condition.